The simple, untold truth about anxiety and depression is that they are habits of insecurityand like all habits, they can be broken. 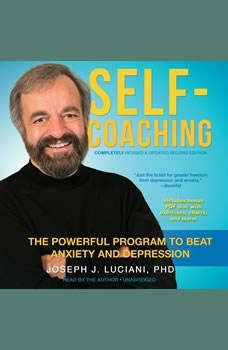 In this new edition of the highly successful Self-Coaching, Dr. Joseph Luciani presents his proven approach that has worked wonders for his patients as well as readers from around the world. Whether you struggle with worrisome thoughts, panic, depression, or compulsions, Self-Coaching shows you how to stop feeding these habits. Combining training exercises for overcoming negative thought patterns with cognitive behavioral therapy techniques, Self-Coaching shows you how to change your way of thinking and develop a healthy, adaptive way of living. This updated edition provides new powerful training tips and motivational tools; updated action steps and practical solutions for accomplishing what you want in life; and more real-life stories of people who beat anxiety and depression.